Home Opinions Ujjwal Nikam countered propaganda with propaganda. Wrong, but fair. 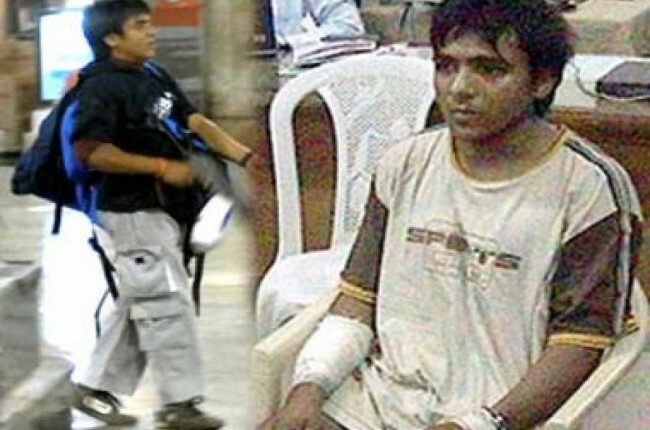 Kasab – a monster or a poor brainwashed kid? Which one is the propaganda? Over the weekend, Indian media and chatterati have been busy lamenting how the public prosecutor Ujjwal Nikam misled the public about Pakistani terrorist Ajmal Kasab asking for Mutton Biryani while in custody. There have been ridiculous arguments such as one put by Naxal apologist Kavita Krishnan, where she argued that the Biryani lie transformed the image of Kasab into that of a monster. As if killing hordes of innocent people in cold blood was not monstrous enough! There have been even more ridiculous arguments such as one put by Indian Army coup expert Shekhar Gupta, who thought that Nikam had “communalized” Biryani. In fact, by arguing so, Mr. Gupta has unwittingly linked Kasab with a particular community. One can only pity these arguments, unless one is an “Adarsh Liberal”. If you are not an Adarsh Liberal, please continue to read this article. Let’s be very clear. A public prosecutor lied. And he admits that he lied. This is wrong. But what is “wrong” is not necessarily “illegal” (matter of law) or “unfair” (matter of logic). It is not illegal, because Nikam didn’t lie under oath. A lawyer in not under oath anyway, and we have no proof to show that Nikam lied in the court or he planted fake witnesses who claimed that Kasab demanded Biryani. That also brings us to the question; if Nikam made it up all by himself, why did jail authorities not contradict him? If he peddled this Biryani lie all made up by himself while arguing in the court, OpIndia.com demands that the bar council should take disciplinary action against him. In fact, the council should anyway consider reprimanding Nikam for lying. Nonetheless, as per information available till now, Nikam didn’t lie in the court, but outside the court. He lied to the media. And lying to or through the media is not “illegal”, else half of our politicians and half of our journalists would be behind bars. Yes, a lie to or through the media becomes “illegal” if it leads to defamation or any other crime. And you have to be crazy like Kavita Krishnan to believe that the image of someone like Kasab was “defamed” due to this lie. And this leads us to the second aspect. If not “illegal”, was Nikam’s lie “unfair”? Now this is subjective view. If you are one of those who believe Kasab was “defamed” due to this lie, you’d obviously think the lie was unfair and ruined the image of Kasab leading to a poor man getting the rarest of the rare punishment, which he otherwise would have escaped. To believe that Kasab was defamed, to a very very marginal extent, you’ve to believe that Kasab was innocent, to a very very marginal extent. And this is exactly what Nikam argues. That a media propaganda was on way to make people believe that Kasab was innocent, even if very very marginally, by pushing news stories that showed that he was a brainwashed poor kid (he was adult by the way). And to counter this propaganda, he made up the Biryani story. If you go through the news reports of those times, Nikam is vindicated. There were indeed many reports that painted Kasab as a poor brainwashed kid. Why are we rejecting that this whole “image building” of Kasab was not a similar lie? We have seen how well off young men from western countries are joining Jihad. Osama Bin Laden himself was a well educated billionaire. Yet, this lie of terrorism being engendered by poverty is always pushed by the media. Why are we so sure that it was Kasab’s poverty, and not his ideology, which turned him into a monster? Could that not be a lie? It could well be a lie because defense lawyers always tutor terror suspects to blame their crimes on anything but themselves. The chances of “Kasab is a brainwashed kid” being a carefully crafted lie to influence public opinion is as good as “Kasab showed no remorse and asked for a Biryani”. Only that in the case of the latter being a lie, the lawyer has admitted it. So what Ujjwal Nikam effectively did is that he tried to counter a propaganda through a counter propaganda. And he used a lie for this. This is unethical and immoral for sure, but it can’t be called either illegal or unfair. And Indian media has no rights to point fingers at someone who uses unethical or immoral means to support a bigger cause (Nikam believed that the bigger cause was to expedite the judicial process by creating public pressure). Have we forgotten the means that Tehelka (and many other media organizations) used to “expose” the bigger cause of anti-corruption? Among other things, Tehelka used prostitutes to trap officials. Then, most of the same bleeding heart liberals thought that the end justified the means. Similar attitude of bleeding heart liberals was observed when it was known that the story of a pregnant woman’s womb being ripped apart during Gujarat riots was a lie. This is still repeated by many activists as they believe that the end (getting culprits punished) justified the means (propagating a lie). No, we are not saying that two wrongs make it a right. We have unequivocally said that Ujjawal Nikam is wrong. But to pillory him as a villain only betrays hypocrisy and a misplaced zeal of the “Adarsh Liberal”.